In the 1930s, the tradition of cliff diving started. Armed with only expertise and courage, the divers face the narrow waters underneath, around a hundred feet from where they stand. With the grace of the butterflies in the meadows and the birds in heaven, their bodies will, within seconds, break the water and mingle with the fish below with the same grace. This activity has never lost its charm and magic as it still attracts tourists from all around the world to witness the triumph of each diver. New generation of admirers gets pleased by new generation of divers. The only variance now is the method these new batches of divers get training. They are enriched with the experience every time they dive, unlike before that the old divers whose teacher is mainly their passion. To them, experience was a painful teacher. Many of them sacrificed and hurt their bones, eyes, limbs, ear drums, bones and no doubt they learned much from it. However, today the new divers have managed to prepare in an efficient way. They are able to dive in right time for the crests of the waves to meet their falling bodies. They are also now more able to control themselves not to hit the uneven jagged sides of the cliff. Gary Hunt, regarded as one of the most advanced athletes of all time is the winner of Red Bull Cliff Diving World Series for five times. In 2009, he also won the High Diving World Cup. Currently, there are not many instructors or guides for cliff diving. Because the sport is so new on the professional level, many of the professional cliff divers do not even have a designated coach. 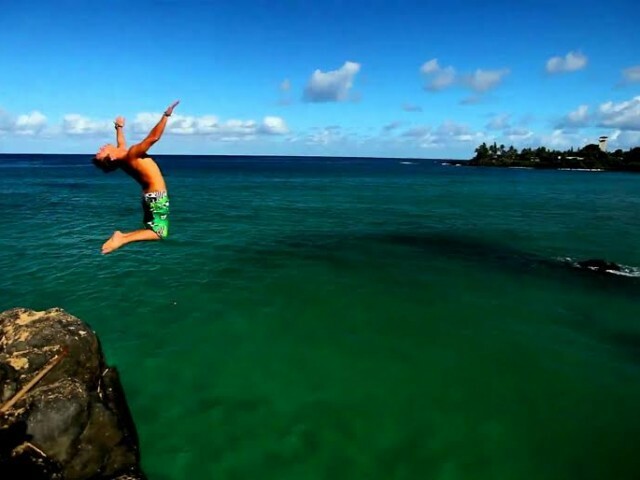 Maybe in the upcoming years there will be more and more instructors for cliff diving, but presently, the only cliff diving instructors are current and former cliff divers and everyday diving coaches that know about cliff diving. Your best way for instruction is to go to a pool with an experienced professional high diving coach and learn the basics of diving in a controlled situation before taking to the cliffs. Most of the audience would not be able to understand what pushes these cliff divers to throw their bodies into the water just like that. Is it the ecstasy they feel after completing their turn or the rush of adrenaline that they just could not control? Is it the complete feeling of being lost in this world we live in or is it the feeling of flying and being one with nature? Without diving, one will never know. Gary Hunt is the 2010, 2011, 2012, 2014 and 2015 winner of Red Bull Cliff Diving World Series Only in 2015, his streak of winning streak broke after five successive triumphant victories, the longest so far in world records. Wherever a cliff diver chooses to jump off a cliff, he or she will probably have one of the most enthralling and memorable experiences in his or her life. Not only it is a wonderful sport to look at but also it is an adrenaline rush.